What Happens if You Get a DUI or DWI? What Does Drug and Alcohol Rehab Include? Being charged with DUI or DWI is a life-changing event. Most spend one or more nights in jail, are later released with a court date, and will then need to obtain legal representation prior to their court appearance. Sometimes, entering an addiction recovery program can help a person avoid jail time. Other times, the person may be mandated to enter a rehabilitation program. DUI is an acronym for driving under the influence. It usually refers to driving under the influence of alcohol. But it can also apply to other substances. In all 50 states, a person can be charged with a DUI for a BAC of 0.08 or higher (however, some people with lower BAC levels may be charged). In some states, having BAC levels of 0.15 or higher results in even higher charges,1 and in some states the acronym DWI, which means driving while intoxicated, may be used for individuals with higher BACs. Suspension or revocation of one’s driver’s license (in some states this is mandatory). A requirement to have an ignition interlock device installed on one’s vehicle. Mandatory court-ordered substance use disorder treatment. Documentation that one is attending treatment sessions for drug or alcohol abuse. A requirement to engage in random drug and alcohol tests for the duration of any probation. Having a permanent listing of the offense on one’s driving record and on one’s criminal record. Significant financial loss due to attorneys and other legal fees. Inability to work in certain professions. The state one is in. How skillful or connected one’s attorney is. BAC at the time of arrest – higher BACs often result in stiffer charges, stiffer potential penalties, and potentially higher fines. where felony DUI charges can be made against people with multiple DUI or DWI offenses. Who Answers? to speak to a rehab placement advisor about recovery programs for people who have been charged with a DUI. Sometimes, the legal system will offer the opportunity to voluntarily enter a substance use disorder treatment program in lieu of being incarcerated. These opportunities depend on the jurisdiction, one’s history, and the specifics of the case. Because many people are repeat offenders, some judges prefer to try and help the person with his or her problem as opposed to imprisoning them. The judge or system may actually enroll a person in a substance use disorder treatment program before the person is prosecuted or may allow the person to enroll themselves in a treatment program before they are prosecuted. When these pre-trial diversion programs are completed, the charges are then reduced or dropped. Typically, one can ask one’s attorney if a substance use disorder treatment program will result in any type of leniency. Some jurisdictions have strict specifications for people seeking to trade rehab for jail. The specifics vary depending on the state, the specific jurisdiction, the judge, and details of the case. Someone who was intoxicated and caused an automobile accident will have a more difficult time avoiding jail, especially if the person caused the death or serious injury of another person. In any event, it is a good idea for anyone convicted of a DUI to get help from a professional drug or alcohol recovery program prior to their trial or sentencing to communicate to the judge and prosecutor that they are serious about addressing their issues. Attend specific types of therapy. 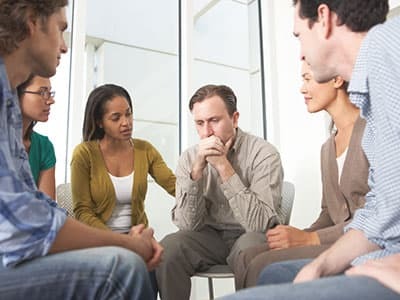 Attend a certain number of Alcoholics Anonymous (AA) groups on a weekly basis. Subject themselves to random drug testing and pay for the testing. Pay for the treatment program. The goal of a treatment for a substance use disorder is to help the person identify the issues that led to his or her drug or alcohol abuse, learn to cope with these issues in a more productive manner, develop stress management skills, and develop a long-term relapse prevention program. Outpatient treatment programs: Outpatient programs require attendance during daily treatment hours only. The person then returns to his or her normal daily activities. Outpatient is also often used as follow-up care after an inpatient stay. In some cases, the judge and prosecutor may allow the person to attend an outpatient treatment program initially in lieu of jail time. One should discuss this with his or her attorney. Alcoholics Anonymous. Attendance at support groups, such as Alcoholics Anonymous, is often mandated by judges and prosecutors in addition to any other treatments. Family therapy: Enrolling in therapy to address family issues that contribute to one’s use of alcohol or drugs is highly recommended. Dual diagnosis: Many people with alcohol use disorders have a dual diagnosis (a substance use disorder and some other psychological disorder such as depression, an anxiety disorder, or a personality disorder). These co-occurring disorders need to be treated at the same time to avoid relapse. Consider the cost, accreditation, and the program’s ability to cooperate with the court. In some cases, a person convicted of a DUI won’t be able to choose the treatment program because the judge may require him or her to enter a specific program. In other cases, attorneys can often recommend treatment programs that specific judges and prosecutors prefer. If a judge makes a recommendation, it should be followed no matter how difficult it may be for the person (unless one’s lawyer can convince the judge otherwise). If one’s attorney makes a recommendation for a specific program, it is a good idea to follow that recommendation, as well. Cost: One should be aware of the cost of the program, any insurance coverage that will be accepted, and any out-of-pocket costs. Often, one can make arrangements with the treatment center to make payments or one can finance out-of-pocket costs through loans, credit cards, or borrowing money from family. Experience: The staff should be licensed and certified, and they should have specific experience treating alcohol use disorders. Accreditation: Judges often prefer state-accredited programs. Individual treatment plans: The rehab program should be able to adjust its treatment approach to the individual. Family visiting: Inquire about family visiting hours and whether the program offers family therapy/counseling. Cooperation with the court: The treatment program must be willing to send periodic reports to the court or probation officer to comply with the recommendations of the court. Aftercare: The treatment program should provide or make solid plans for an aftercare program that the person can attend once they have completed the inpatient portion of the treatment. The aftercare program may be essential for court approval as well as the individual’s long-term recovery. If you’ve been charged with DUI or DWI and want to know more about finding a treatment program that will meet the specifications of the legal system, call 1-888-319-2606 Who Answers? today.
. Paton, A., & Touquet, R. (Eds.). (2009). ABC of Alcohol (Vol. 84). New York: John Wiley & Sons.
. Mothers Against Drunk Driving. (2015). DUI Felony.
. Taylor, L., & Oberman, S. (2010). Drunk Driving Defense. New York: Aspen Publishers.